After weeks of shooting almost non-stop, I finally have some time off. 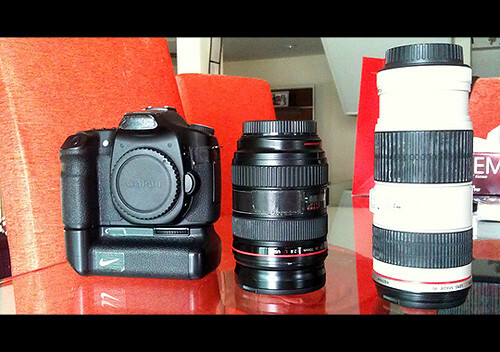 My camera needs a rest as well, so I decided to let the little guy and his two friends go on a well deserved holiday. Stripped them of anything foreign, packed them up, and brought them to their little hotel where they should spend between 5-7 days resting and recuperating. Hopefully they come back well-rested and ready for the next job. You are currently reading We Require Certain Skills at Eman Azrin Azhar.